HÀ NỘI — Importing large amounts of scrap steel is turning Việt Nam into an industrial landfill, with environmental risks coming with the waste. Statistics from the General Department of Customs show that Việt Nam imported more than one million tonnes of scrap steel worth more than US$276.7 million in the first quarter of 2017, an increase of 44 per cent compared to the same period last year, while the value rose 20 per cent. Scrap steel was imported from several countries, mainly the US, Japan and Australia, but the largest import growth was from South Africa, with an astounding surge of 1,615 per cent over last year’s first quarter. Việt Nam Steel Association Vice President Nguyễn Văn Sưa told Thanh niên (Young People) newspaper yesterday that the old technology many factories in Việt Nam use to make steel needs scrap steel for manufacturing. Theoretically, scrap metal used for this purpose was previously construction steel discarded from buildings. “In Việt Nam, steel manufacturers that produce steel this way account for more than 70 per cent of the country’s capacity,” Sưa said. There is, however, a dark side of the scrap steel industry. It is common in Việt Nam that old, outdated machineries and equipment, or toxic electronic components are smuggled into the country disguised as scrap steel. 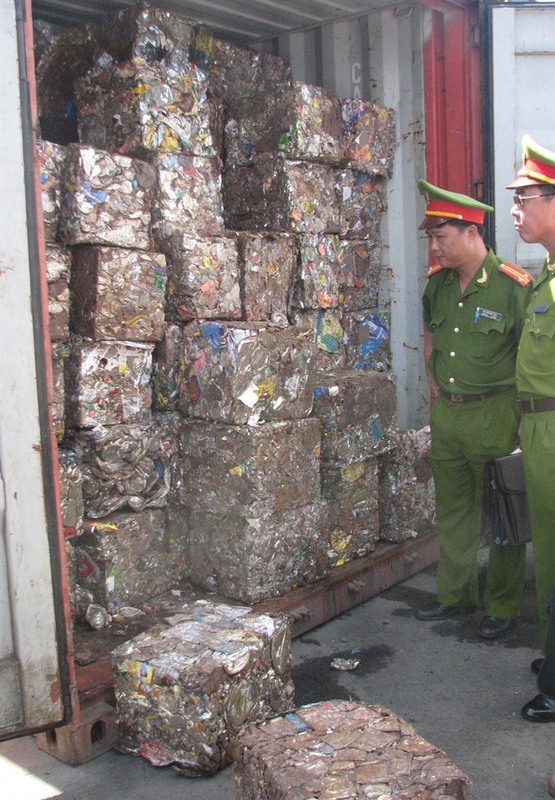 In 2015 and 2016, the authorities uncovered several cases in Quảng Ninh Province and Hải Phòng City in the North, and Đồng Nai and Bà Rịa-Vũng Tàu provinces in the South, where containers marked as containing scrap steel turned out to be secondhand machineries and ship components. One of the biggest cases was detected in Hải Phòng when 18 out of 20 inspected containers had used electronic chips and components in them despite being declared as scrap steel at customs. These machineries could be reused to make steel, but not until they were broken apart, increasing risks of polluting the environment. Authorities only give licences to scrap steel importers when they meet regulatory requirements like having specialised storage space or wastewater treatment. However, latest reports of 54 departments of natural resources and environment in 2015 pointed out that several scrap steel importers failed to comply with environmental regulations in handling both wastewater and solid waste and generated air pollution. Professor Lê Huy Bá, former head of the Institute of Environmental Science, Engineering and Management of the HCM City University of Industry, said that allowing scrap steel imports benefited companies involved in the industry but harmed the environment. “To make steel, Việt Nam has turned itself into an industrial landfill of the world,” Bá said. But the irony was that the steel that harms Việt Nam’s environment can’t compete against other countries’, like China, which sell steel at very cheap prices, he added. Economist Bùi Trinh said that steel production as an industry produced a large amount of exhaust fumes, posing a huge threat to the environment if not controlled. The US in 2014 spent $6.36 billion to handle pollution caused by making 88 million tonnes of steel, Trinh said. “But I think no company in Việt Nam will have profits if they follow the US standard,” Trinh said.